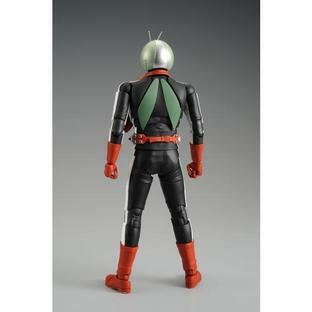 Appearing as a PREMIUM BANDAI item, it’s Masked Rider 2 from MG FIGURE-RISE!! 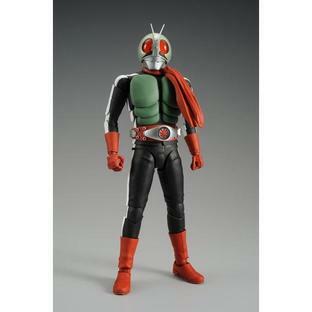 Enjoy it alongside Masked Rider 1!! Using new parts for the lines of Masked Rider 2's crusher, arm, and legs! Glove and boots are perfectly reproduced for the Masked Rider 2 in dark red! ■With MG FIGURE-RISE, poses from the show can be reproduced with overwhelming movability. 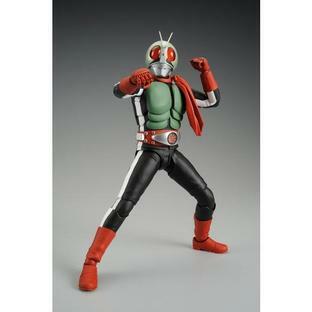 With swing mechanism and withdrawal gimmick, no action pose is impossible!! ■The characteristic eyes are molded in clear parts from the back, allowing for deep expressions. ■Each finger is movable, making it possible to make various expressions. 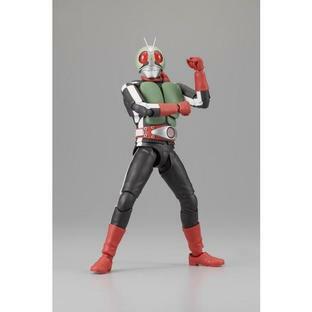 Comes with open palms (left and right) for use in action, and one will recall the key visuals through deeply impressionable poses such as transformations. ■The muffler is movable, and can be matched with moving poses and fixed in position as though it’s blowing in the wind. ■The transformation belt is faithfully reproduced with specialized molding and precision, colorized parts. ■Comes with exclusive stand making it possible to display in a state of floating in space! Rider Kick is also reproduced. －－－－－－－－－－－－－－－－－－－－－－－－－－－－－－－－－－－－－－－－－ 1/8 scale assembly plastic model For ages 15 and up. Primary materials: :PS･PE･ABS･Synthetic rubber ･No adhesives required for assembly.Phillips head Screwdriver is necessary to build this model. －－－－－－－－－－－－－－－－－－－－－－－－－－－－－－－－－－－－－－－－－ (Notes) ・This product cannot be found in model kits shops. ・This product may be on sale in events or other projects held by our company. ・Only a limited number of this product is available at 'PREMIUM BANDAI'. We apologize if we are out of stock on this product. ・Please note that for this product, due to the number of produced units, we are limiting the quantity available in each order. ・For this product, the shipping date is subjected to change in some cases depending on application status and production circumstances,. Thank you for your understanding. ・Product images are in development stage. They may differ from the actual products. ・The product specifications are current as of June 2011. We ask for your understanding as they may be subjected to change.